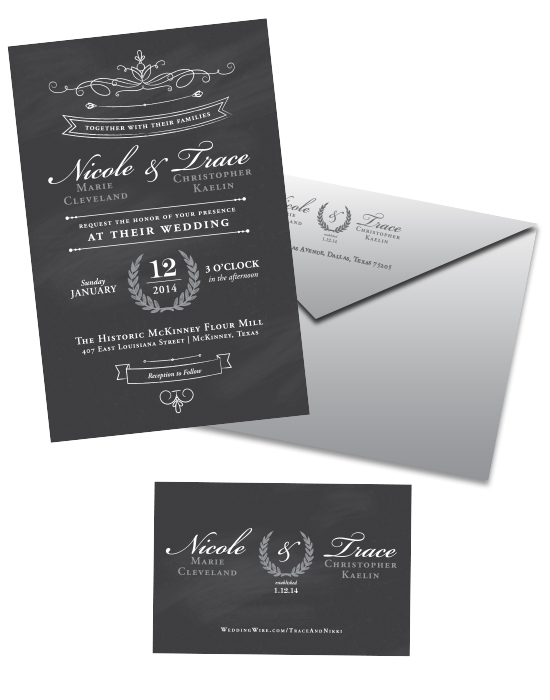 Paper Patina loves nothing more than helping make a bride’s dreams come true when it comes to wedding invitations, save the dates, programs, and all things paper. So when Nicole and Trace came to us seeking a wedding suite that reflected their unique personalities and vintage wedding theme we were oh so happy to help. Nikki loved the idea of a chalk board design but also wanted to be sure the design reflected her feminine side and a bit on elegance. Keeping those requests in mind, Paper Patina created a crest for the couple using an elegant script and delivered the invitations in silver metallic silver envelopes. 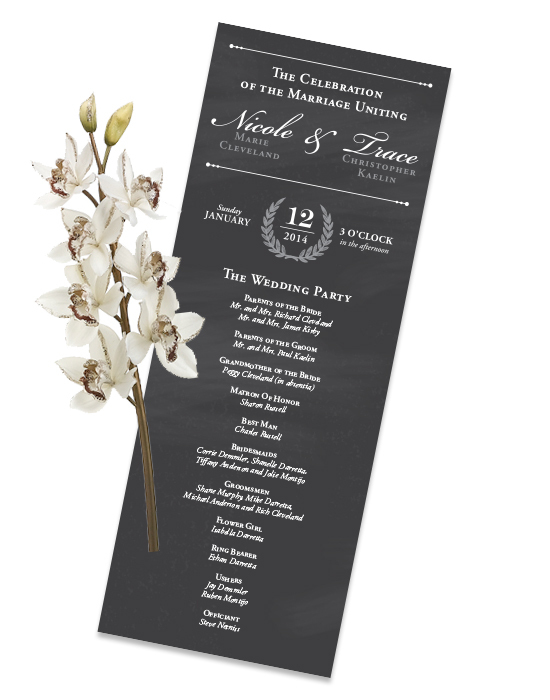 The crest was repeated on the RSVP card and program, carrying the theme across all aspects of the wedding suite. The invitations and other pieces felt right at place on the big day. 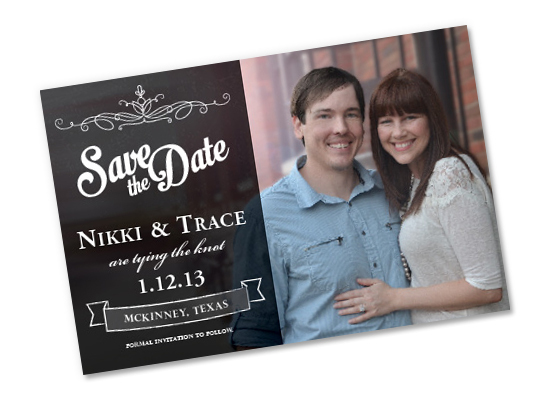 The wedding was held at the Historic McKinney Flour Mill and the vintage charm and ambiance made the wedding one of a kind, just like Nikki & Trace’s wedding invitations.